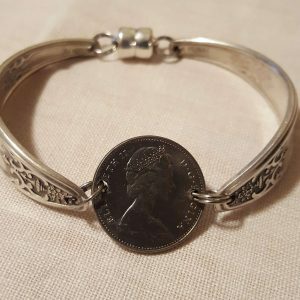 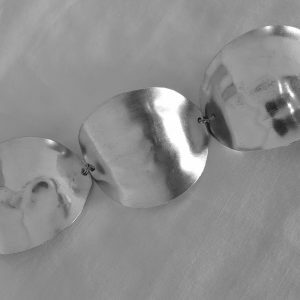 Bracelet made from three hammered teaspoons, featuring a strong magnetic closure. 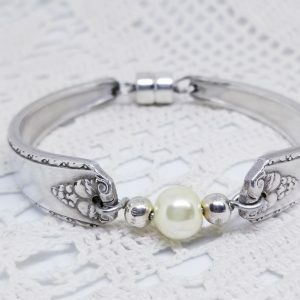 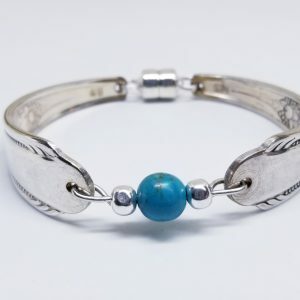 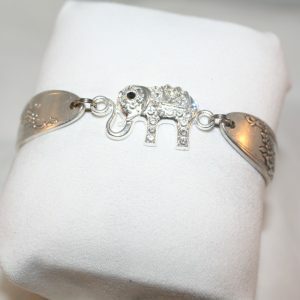 Silver plated and fits average size wrist. 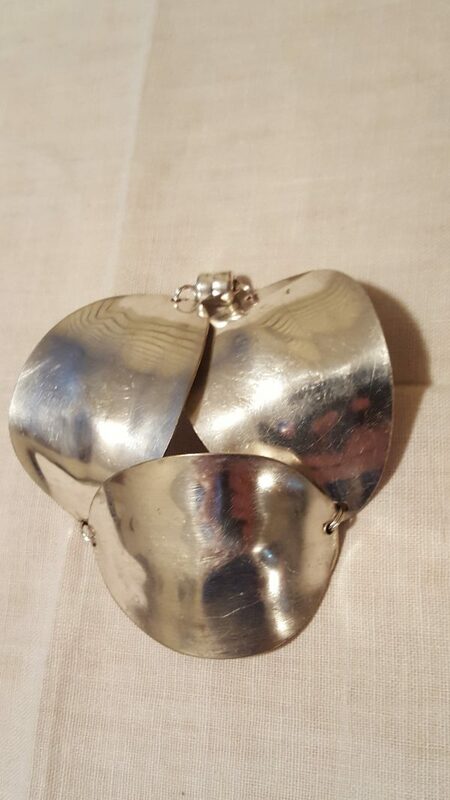 Measures approximately 7.5″.